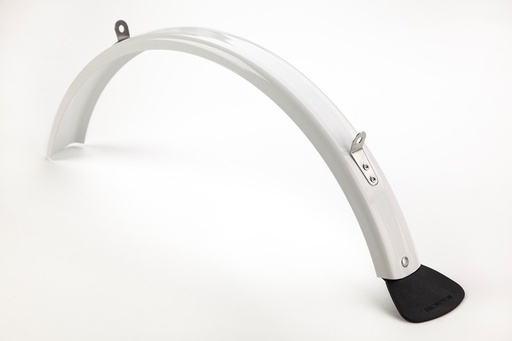 Keep your rear clear with this fancy fender. 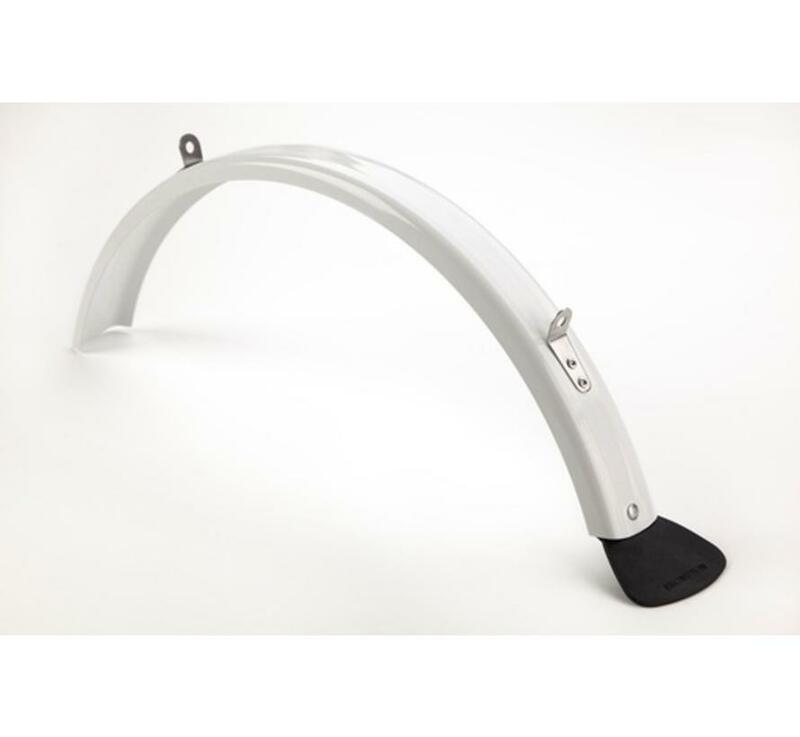 Rear mudguard blade, includes black flap, version R, white, Brompton part QMGBL-RR-WH. Want a matching set? 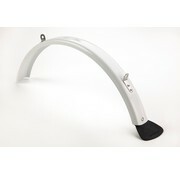 We have the front mudguard in white.